Curious about the best weather cities to live in India? When the words ‘weather’ and ‘India’ are spoken in the same sentence, many people conjure images of debilitatingly sweltering humidity capable of taking the unaccustomed out of commission completely. Sure, the deluge brought about by monsoon season offers some relief, but it also presents problems of its own. After all, who really wants to confront daily downpours that are the stuff of biblical lore for months on end? What most don’t know about the subcontinent’s characteristic weather patterns, however, is that some regions are frequently plagued by snow, frigid winds, and sub-zero temperatures. Cities such as Migyitun, Katao, and Dras couple high altitude-induced low temperatures with precipitation to make them equally cold, bleak, and generally undesirable. For the uninitiated–and perhaps the initiated as well–Cities with the Best Climate in the World Year-Round would be ideal. A city warm enough to remind its inhabitants that all of their extremities are still attached to their torso, while simultaneously cool enough to ensure that a routine jaunt to the corner for chai and samosas doesn’t feel like a Tripadvisor walking tour through a mile-long sauna. In order to encounter such a climate, locals and travelers alike would do well to seek out cities with very specific characteristics, as few throughout the whole of India offer the rare, aforementioned, Goldilocks-like not-too-hot, not-too-cold conditions that just about anyone would find pleasurable. Which weather patterns remain the most constant over the course of the year? I.e. predictability and continuity from one month to the next. In searching for climates that meet these standards, it’s important to remember that beggars can’t always be choosers. This is India. It rains a lot, and the weather is generally extreme–irrespective of the end of the spectrum–let’s be grateful for the good weather we can find. The other thing to note is that we want a bit of diversity in this list. That’s to say some cities can be a bit cooler or warmer than others, with slightly more or less rainfall. 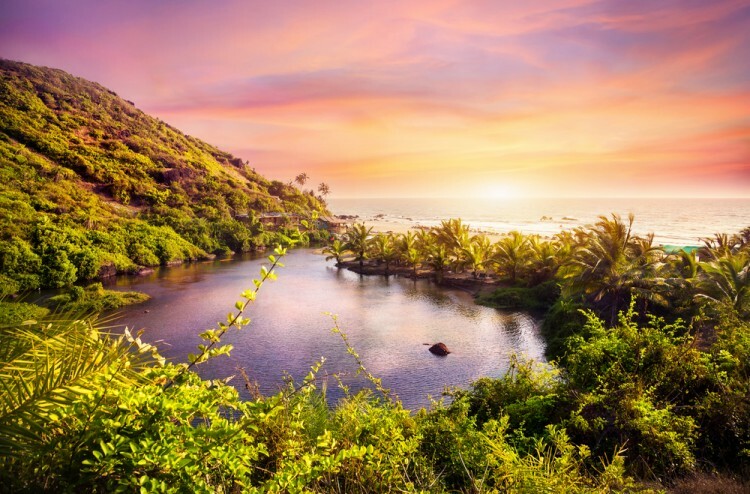 Our best bet is most likely going to be looking at Warm-summer Mediterranean, Oceanic, and Subtropical Highland Oceanic climates, with a specific focus on hill stations within such regions. It was these places, after all, that served as points of refuge for European colonists during India’s brutally hot summers, as towns with greater elevation offered more shade and generally cooler temperatures than comparatively hotter metropolises such as Delhi. Using some crowdsourced recommendations from local experts as a starting point as well as a bit of research from other aggregated climate data, we’ve whittled down a dauntingly giant list to the 11 best weather cities to live in India. With any luck, these cities will save you from a literal meltdown on your next Indian expedition.